Over forty acres of shovel-ready lots right on Highway 99 in the center of California. Zoning ranges from light industrial to highway commercial, depending on location of the parcel. Kingsburg, CA has low crime, and low unemployment with a business-friendly City Council. Current businesses located in the Business Park include: Sonic (Lot 1), The Dance Company (Lot 22), Anderson Striping (Lot 25) and Safe Food Alliance (Lot 36). 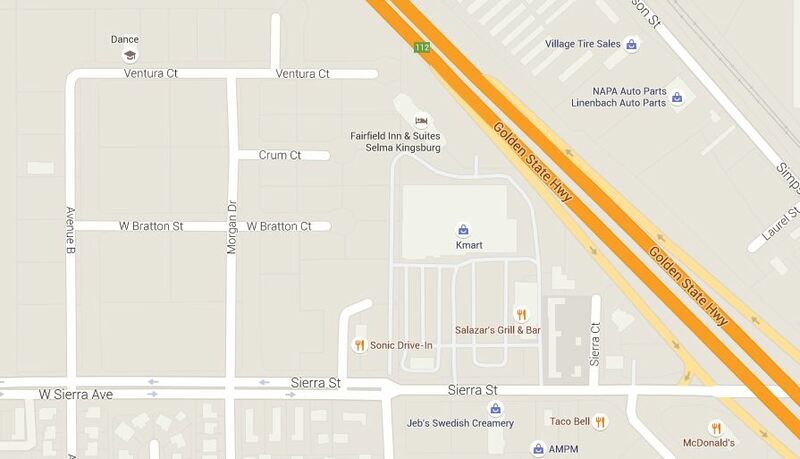 At the eastern cul de sac of Ventura Court is Fairfield Inn & Suites.